Released as the successor of "The Settlers 2: 10th Anniversary" in 2008. It contains three tribes (Bavarians, Scots, and Egyptians) and combines the economic and military gameplay from "The Settlers 2: 10th Anniversay" and "The Setllers III". Not available in English language, it was only released in German language. 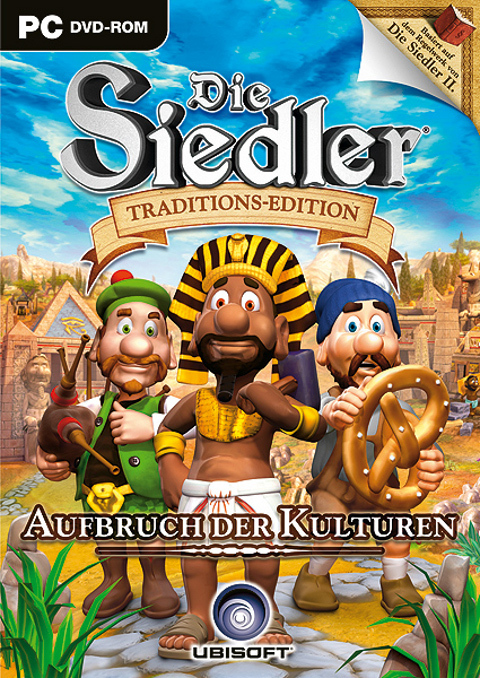 The Original German title is Die Siedler: Aufbruch der Kulturen. To promote The Settlers: Rise of Cultures and grow its popularity (top games), use the embed code provided on your homepage, blog, forums and elsewhere you desire. Or try our widget.